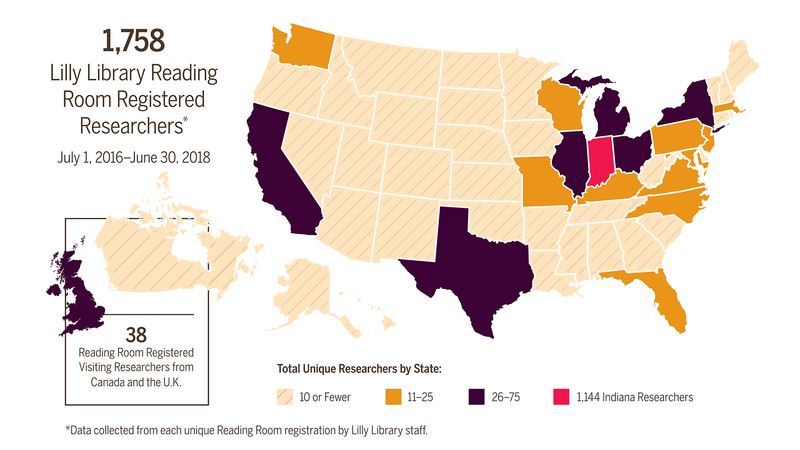 The Association of Research Libraries (ARL) is a nonprofit organization of 125 research libraries at comprehensive research institutions in Canada and the US sharing similar research missions, aspirations, and achievements. 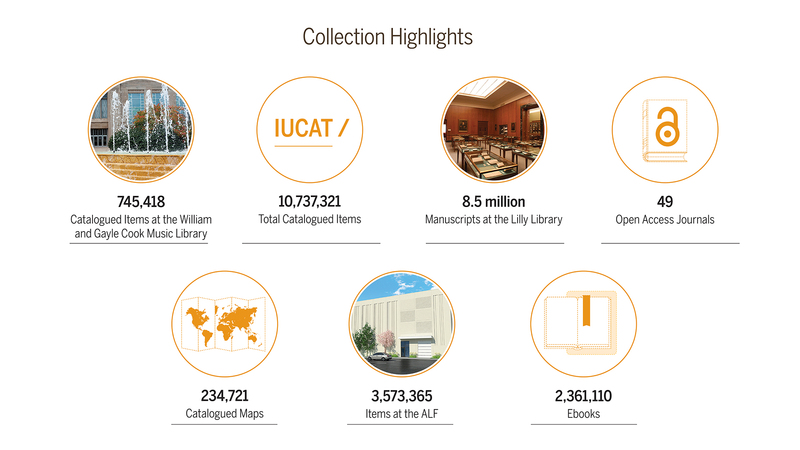 Since 1961, ARL annually publishes statistics collected from its members describing the collections, staffing, print and electronic materials expenditures, and service activities of its member libraries. 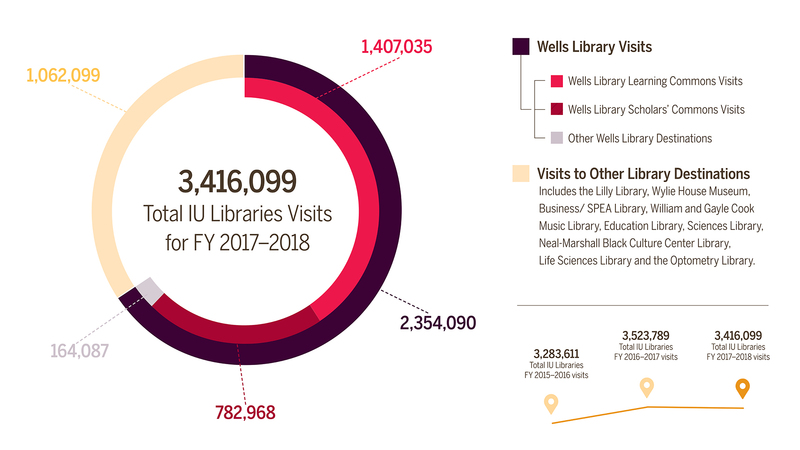 Unless stated otherwise, the numbers shared here were collected by IU Libraries as part of this important benchmarking activity. Data is most often from the most recent fiscal year, 2017–2018, although when helpful prior year data is offered. 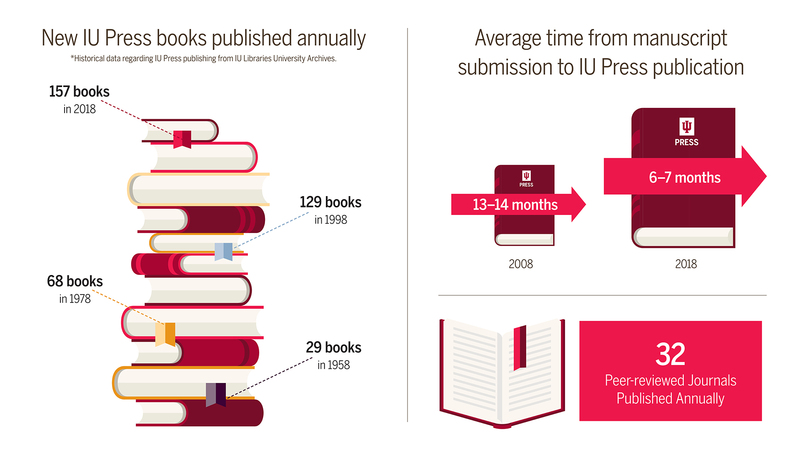 To request a printed copy of the Annual Report, please email libcomm@iu.edu. View or print the full 2016-2018 report, or view the 2014-2015 report.